Most of us ignore manholes as we walk around cities. Manholes are mostly viewed as mundane and functional, providing access to sewer systems that lay underneath. Some cities, however, have decided that manhole covers, particularly the ones we might cross over on sidewalks, can serve as more than simple covers. Many cities in Japan take pride in creating very decorative manholes. 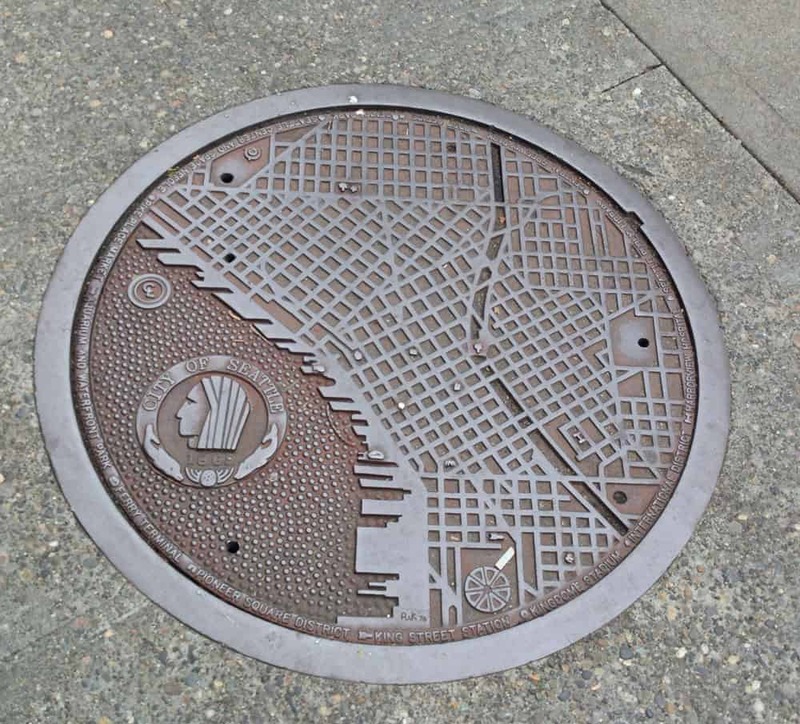 Other cities take manholes a step further, and use them as maps. Cities like Seattle, Chandigarh (India), and Oldenburg (Germany) have designed manhole covers with maps of their respective cities. These map manholes contain street maps of the city with a steel rivet as the “you are here” marker. 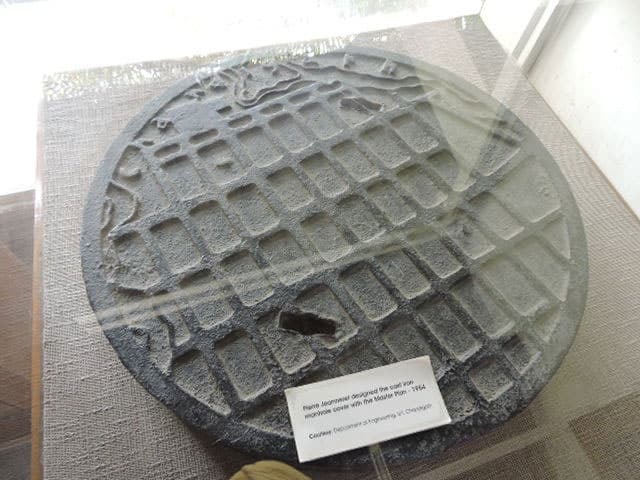 The planned Indian city of Chandigarh in the 1950s included cast iron manhole covers of the original plan of the city. Designed by Swiss architect, Le Corbusier and his cousin Pierre Jeanneret, the manhole covers are a coveted item among collectors. Many of these manholes have ended up being removed from the city and sold at auction and art houses. 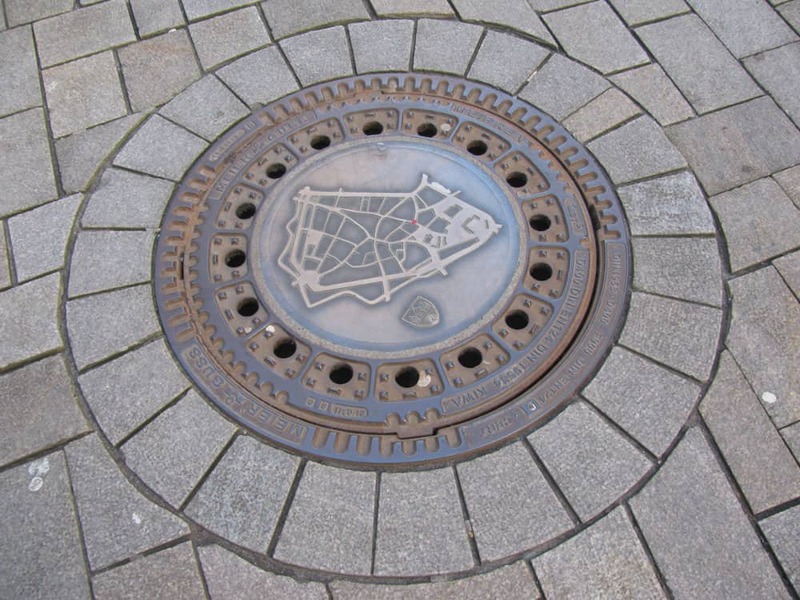 This manhole cover from Berlin, Germany doesn’t contain a map but it does orient the viewer towards landmarks.